Leading Manufacturer of leather card holder bag and card holder bag from Kolkata. Leather Card Holder Bag with multiple slots. 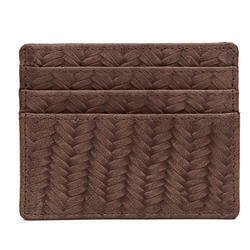 Holds all your credit cards, cash and other items. Easily fits into your pocket or handbag. Personalize these with your name or initials for the ultimate style statement. These credit card holders are not only stylish but also of immense utility, keeping your credit cards safe and within handy reach, with slots for pens and other items. Available in various colors including black credit card holder book cover, brown credit card holder and burgundy credit card holder, these leather credit card holders are made from genuine leather. 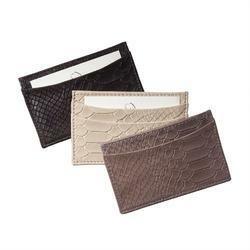 We are offering a wide range of Card Holder Bag.